The trailblazing bluegrass legend Peter Rowan is back under the careful supervision of mega-producer Alison Brown. 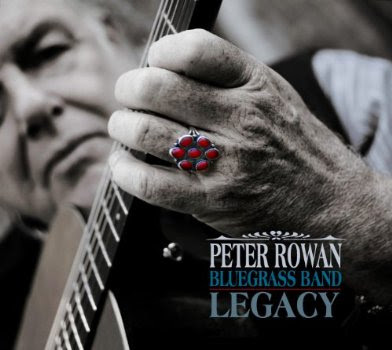 "Legacy" harkens back to the style Peter Rowan learned as an apprentice of Bill Monroe more than 45 years ago. As you might expect, Rowan and his Bluegrass Band deliver in spades. The album begins with the intensely memorable cut "Jailer, Jailer" and is followed by the piercing lyrics of "The Family Demon." The instrumentation and vocal performance are faultless. However, the album really comes into its own with the understated and beautiful "Father, Mother." The album's biggest surprise is the Americana country track "So Good," which could easily find radio chart success in multiple formats. The country lullaby "The Night Prayer" has much of the same charm and could win over even the most skeptical critic of bluegrass music. The gospel tinged "Let Me Walk Lord By Your Side" is a traditional bluegrass musical treat that fires on all cylinders. But the best song on the album is "Turn The Other Cheek," which showcases an award worthy vocal and musical performance.